Are you confident that your workforce will always make the safe choice? Despite plans, procedures and systems, people can, and do, make mistakes. 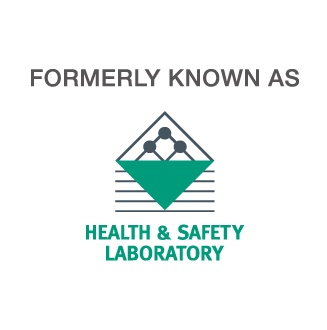 HSL has investigated every major industrial accident over the last forty years. We share the unrivalled insight and experience this gives us with organisations, helping them to better understand their workplace safety culture and showing them how they can make their workplaces the safest in their industry. Can I really change an individual's behaviour? YES - and we will work in partnership with you to do this. Our "Make it Happen" model will help you to promote healthier and safer behaviour amongst your workforce and management by tackling multiple influences on behaviour to achieve positive culture change. By working pragmatically and flexibly, and tailoring our solution to your specific needs we ensure that you obtain value for money. Are your jobs well designed? Do you have a genuinely supportive health and safety culture? Are you confident that your senior leaders possess the right skills to act as enablers for safe/healthy behaviour? Is safety always the priority for your organisation, even when the business is under pressure? Do your employees have the right health and safety knowledge and skills? Is training really making a difference or is it merely regarded as a 'box-ticking' exercise? Would employees express the same views on your health and safety culture to both a manager and a colleague? Is your workforce motivated and committed to creating a better health and safety culture? Every organisation will have different ways of measuring health and safety performance. We can work with you to benchmark your current performance using our research-based tools. We can also help you to determine meaningful and reliable indicators of the success of your health and safety interventions. Your business is unique, and probably complex. Most clients begin by engaging us to assess the current influences on their workforce's behaviour.